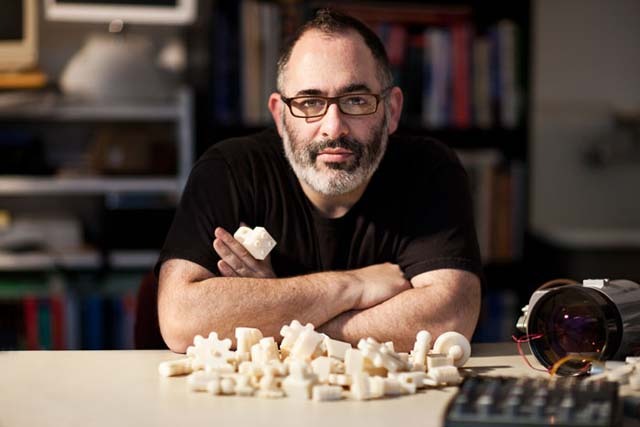 The free Universal Construction Kit, developed by Golan Levin and Shawn Sims at the STUDIO for Creative Inquiry, is a matrix of nearly 80 adapter bricks that enable complete interoperability between ten popular children’s construction toys. For example, By allowing any piece to join to any other, the Kit encourages totally new forms of dialog between otherwise closed systems — enabling radically hybrid constructive play, the creation of previously impossible designs, and ultimately, more creative opportunities for kids. As with other grassroots interoperability remedies, the Universal Construction Kit implements proprietary protocols in order to provide a public service unmet — or unmeetable — by commercial interests. 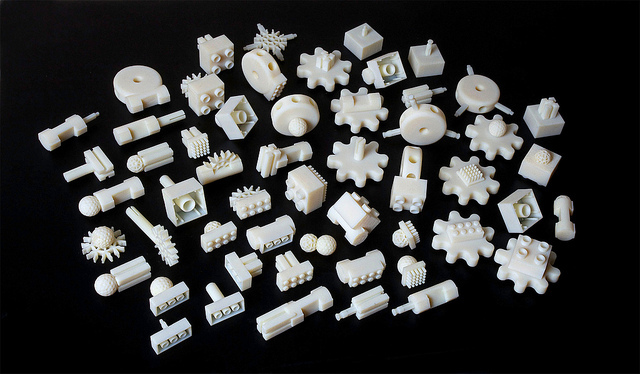 The Universal Construction Kit offers adapters between Lego, Duplo, Fischertechnik, Gears! Gears! Gears!, K’Nex, Krinkles (Bristle Blocks), Lincoln Logs, Tinkertoys, Zome, and Zoob. These adapters can be freely downloaded from Thingiverse.com and other sharing sites as a set of 3D models in .STL format, suitable for reproduction by personal manufacturing devices like the Makerbot (an inexpensive, open-source 3D printer).